I spent this past Saturday night in a ball of tears. Puffy, red eyes with SOBS and kleenex. Best movie I have seen in a long time (YUP, exciting life as a 30 something year old watching movies on a Saturday night….). I think my pillow is still wet from all my crying (totally serious). If you are looking for a sappy, romantic movie, then I highly suggest. Corny, romantic, beautiful! LOVE ‘Love, Rosie.’ Don’t pay attention to the bad reviews…. 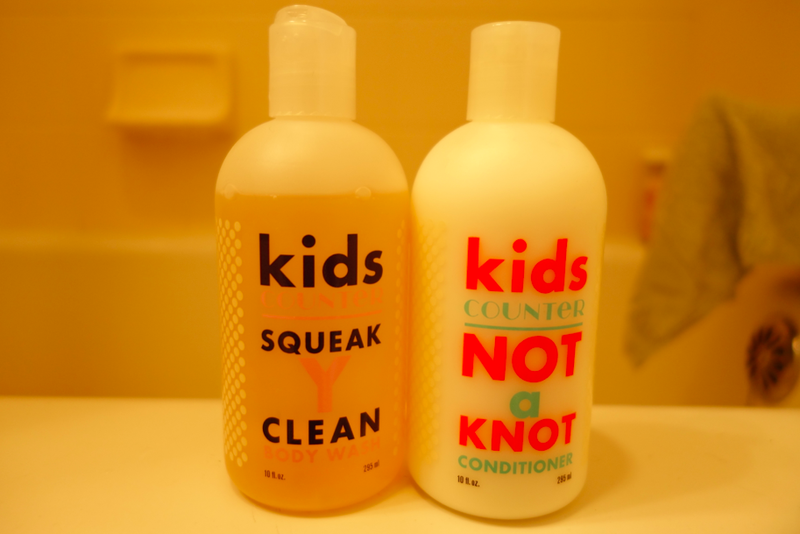 Not only do I love the packaging, the smell, and the result (clean body and hair), but also its totally pure ingredients. Although still a huge fan of my Kale Caesar salad, I love this as an alternative. It is also super easy to make for a quick lunch or side dish for dinner. 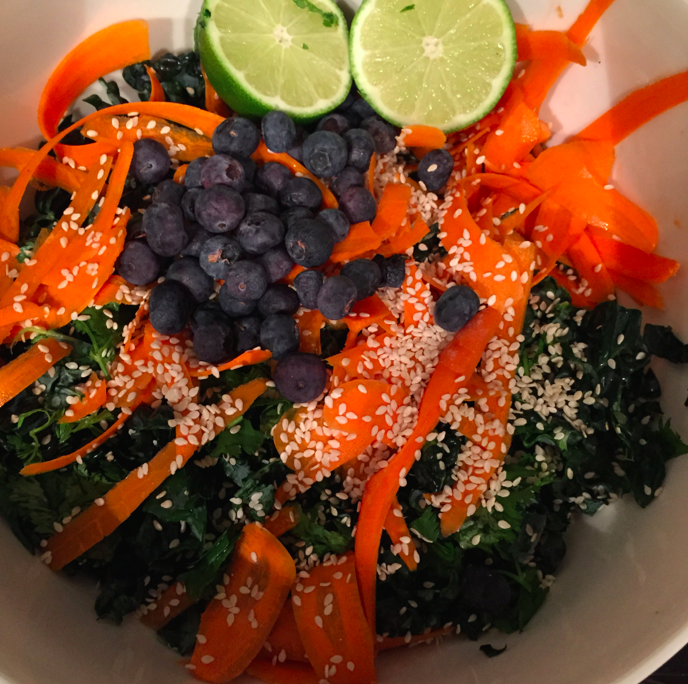 Slightly altered recipe from the link above: blueberries added to the salad, and tahini added to the dressing. DELICIOUSNESS. Two weeks ago, I had the privilege of attending a fascinating luncheon on mindfulness with panelist, Dan Harris. The book was part of the giveaway bag. I have never read a self-help book that made me laugh / smile / think / wonder / change as much. 1,000% recommend. Life altering. 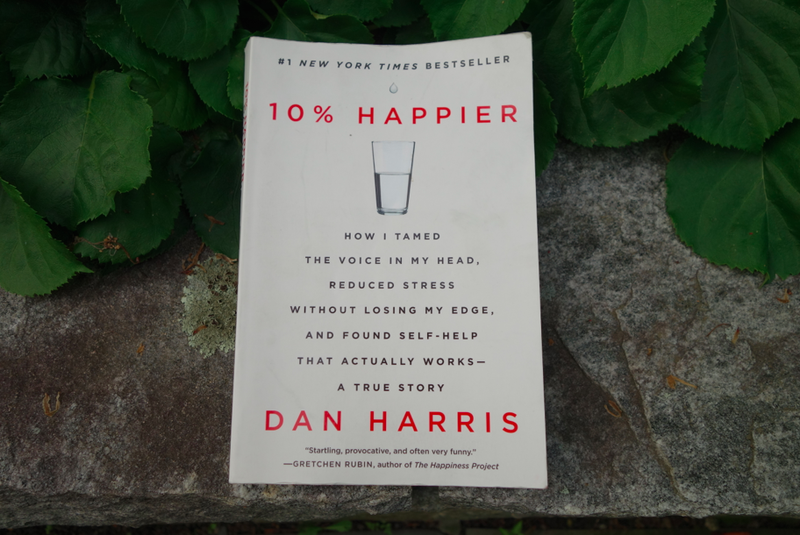 “How I tamed the voice in my head, reduced stress without losing my edge, and found self-help that actually works.” HIGHLY HIGHLY recommend. Natori is killing it right now with their assortment of cotton pajamas. KILLING it. 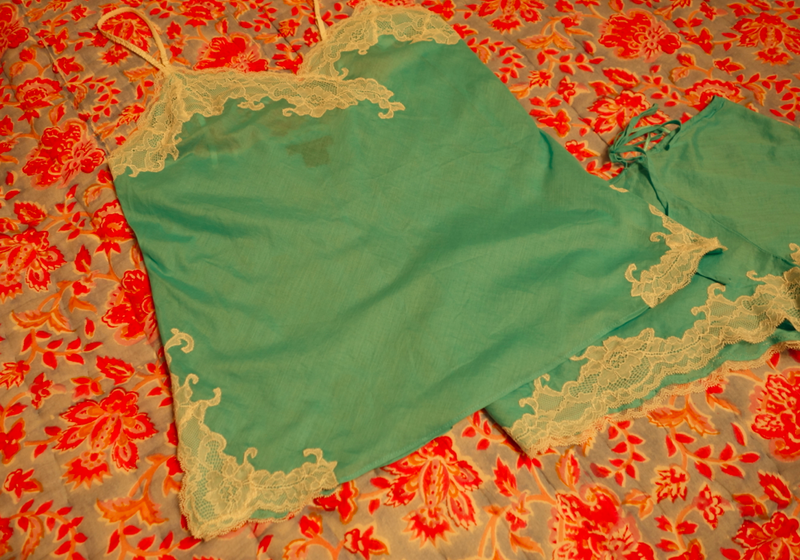 Currently, one of my favorite cotton pajamas is this lightweight short and top ensembles with feminine floral appliques. A must have for summer! So there you have it, 5 top items I am currently loving! 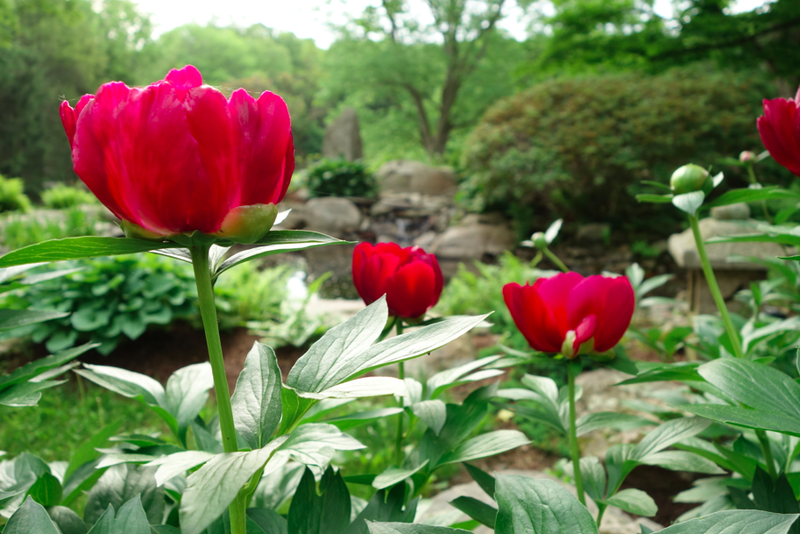 Hope you have a great start to June! Those PJ’s are super cute! Hope they’re still available! Totally judging this book by it’s cover and it looks awesome!! I have been looking for a new book as well as new pajamas! Looking into them both now! what a pretty looking salad that is!